The first organized NSJ club run. 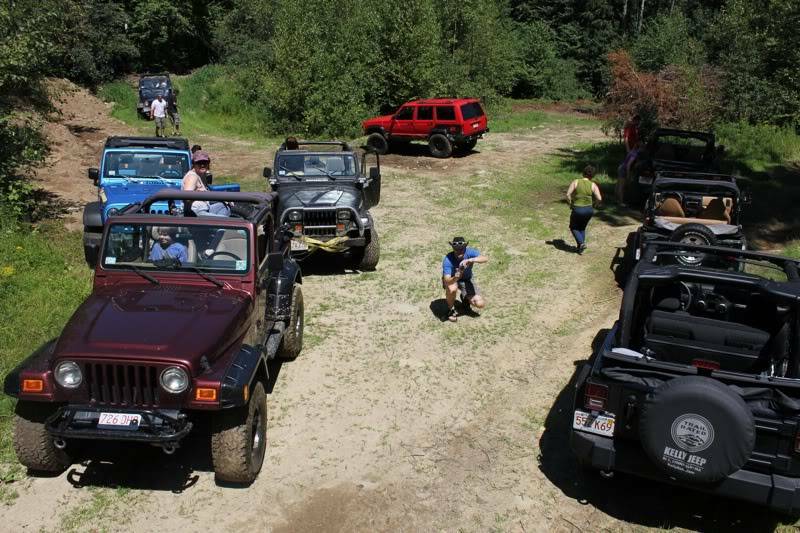 We had a great turn out and great run, and it really set the mood for the North Shore Jeep club! 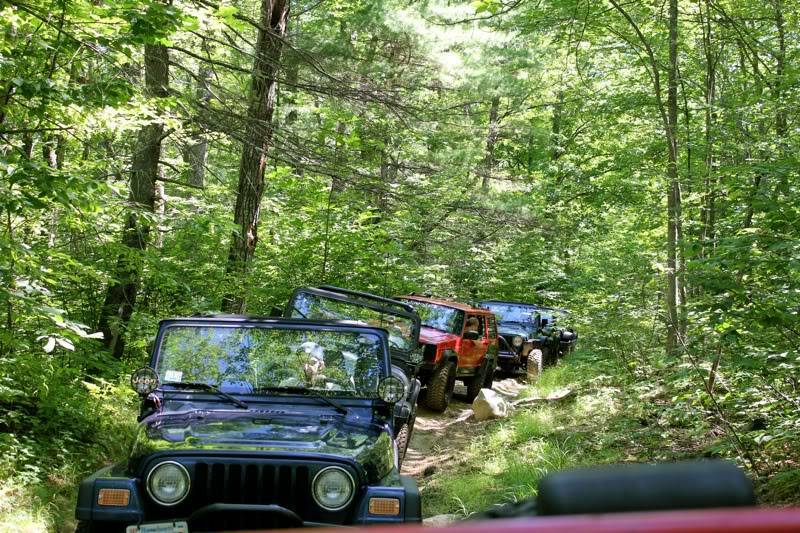 This run had 8 jeeps in total, including Danielle's Cherokee, a few TJs, and a few JKs. We met at the NH state line at the first liquor store and travelled another 45 minutes up to Barrington to run an old class 6 road that is highly popular with the New England wheeling group. It started out pretty easy with nothing more than a few holes and rocks. We then turned up to the left and did a small hill climb. At the top of the trail we stopped in an open field, chatted, then turned around and headed back. On the way back down we met up with 2 other Jeeps (one who is now NSJ member, Mark!) and talked with them about other local trails. That ended up being the end of the day for us, but a great time was had by all and we were able to say we'd officially had a club run! Correction: I didn't have my YJ, we only took the stock JKU. Dually noted. Carol's TJ was stock as well so this one is certainly an option to run again this summer! Indeed, but with a mother f'in picnic this time, ha ha!